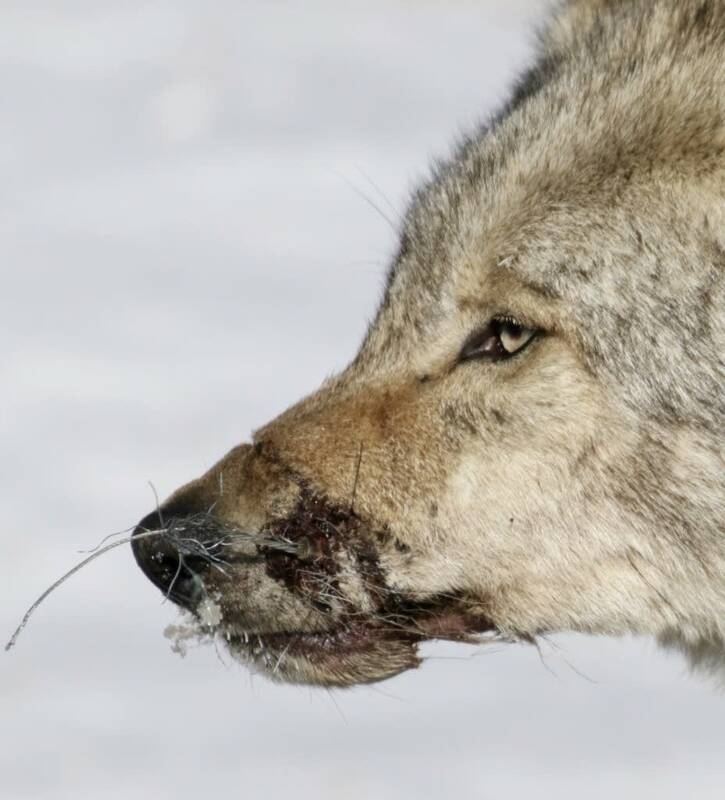 Updated: 3:15 p.m. | Posted: 11:10 a.m.
A Department of Natural Resources conservation officer says authorities had little choice but to shoot an injured wolf making its way through Duluth over the weekend. 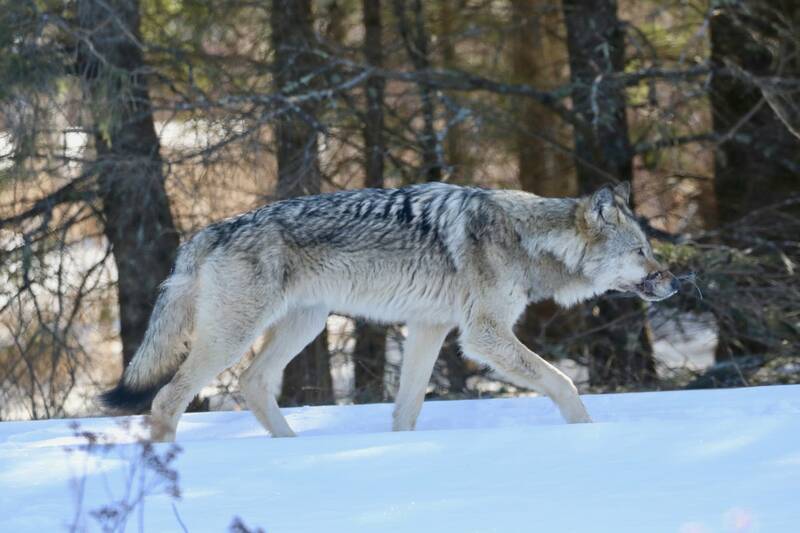 The wolf had a steel snare wrapped around its muzzle and was first spotted by state park employees near Tettegouche State Park the middle of last week, DNR Officer Don Murray said. The wolf made its way along the shore of Lake Superior and eventually turned up on the edge of the city of Duluth on Saturday. "The animal did not stop, and that's what made it difficult to catch up to," Murray said. Kelly Looby, a self-described "critter watcher," said she was looking for boreal owls along Lake Superior on Saturday when she spotted the wolf on some railroad tracks. She thought it had a twig in its mouth, but when she took out her camera and shot a photo, she could see it was a wire. Looby said she saw it lean down, snout into the snow, and could see the wolf couldn't open its mouth any more. She said the animal was clearly stressed out, but seemed to be on a mission, and ran away. Looby said she tried to get traffic in the area to avoid the wolf, but lost sight of it. She called it heartbreaking to see the wolf suffering. "I still can't shake it," she said. 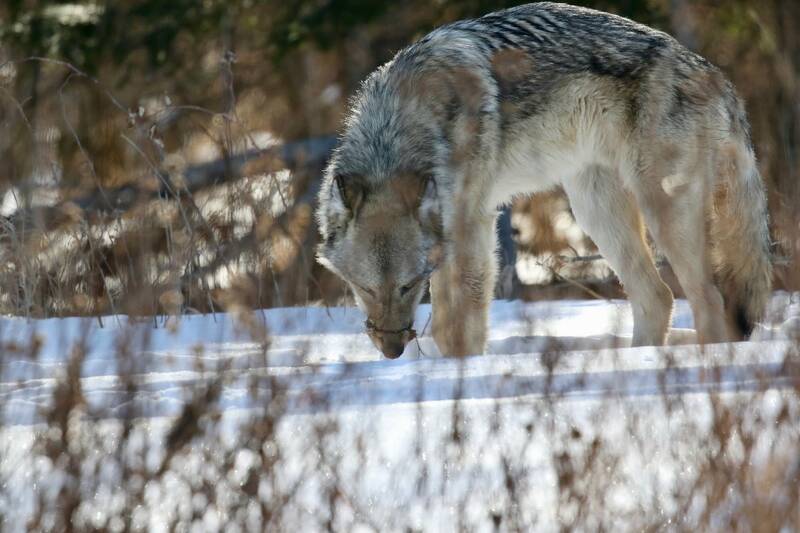 Murray said more people reported sighting the wolf as it moved through Duluth. "We attempted several times to try to get close to the animal to be able to capture it, to be able to remove the snare," Murray said. "But it was pretty consistently on the move through the city. "We were hoping it would try to bed down and find some shelter under a deck or someplace like that where we could get to it with a catch pole or a blanket, to be able to capture it and remove the snare. We were unable to get close to it with any equipment like that." He said the wolf started running through the streets of the city and authorities eventually had to shift their focus from the animal to public safety. "Having to put down the animal was a last resort," Murray said. Fearing a traffic accident or other danger, a Duluth police officer shot the animal. A police spokesman said the pursuit of the wolf ended early Saturday afternoon, at Rice Lake Road and Baylis Street, just north of Marshall High School. Murray said state regulations allow trappers to use snares, but that there are restrictions on the size of the devices to prevent non-target animals like wolves from being caught. Murray also said that, to his knowledge, there had been no reports of nuisance wolves in the area that would allow a federally authorized hunter or trapper to take the animal. "The snare was twisted off, and there was no identification, which snares have to be marked with identification on them. So there was not much left on this snare to be able to determine exactly what the scenario was that this snare was set," Murray said. Maureen Hackett, founder and president of the wolf advocacy group Howling for Wolves, said woods around the state have snares that can catch more than wolves. "Banning snaring would be a step to reduce assaults on wildlife and pets," Hackett said in a statement. "It's time Minnesota joins the 20+ states that have already banned the practice of recreational snaring." In the case of the Duluth wolf, Murray said it was hard to tell how long the wolf might have been disabled by the snare. "It's very hard. None of us want to see something like that happen," he said. "Our intent was to try to capture the animal, to remove the snare, but with a wild wolf, it's a very hard situation to be able to capture and do that."